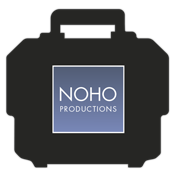 Noho Flat Rates & Options. Studio 1 $ 2,600. $ 2,200. $ 1,600. Studio 2 $ 3,200. $ 2,800. $ 2,200. Studio 3 $ 2,850. $ 2,450. $ 1,850. Studio 4 $ 3,200. $ 2,800. $ 2,200. Studio 5 $ 3,200. $ 2,800. $ 2,200. Studio 6 $ 3,750. $ 3,350. $ 2,750. If you shoot more than 3 consecutive days in a row, the 4th and 5th day are billed at a 25% discount. For example, if you book Studio #2 (Option A) for 5 consecutive days, the first 3 days will be billed at $3200/day and the last 2 days will be billed at $2400/day, an $800/day discount. If your job is 10 consecutive days, 6 days will be billed at full rate while 4 days will be billed at a 25% discount. Studio Technician Overtime Rate is $75/hour. Studio Rental: 8:30 am - 5:30 pm. Camera: Hasselblad H system, Sinar P2 system, Canon 5DS, 5DSR, Mark IV. Choice of lenses and accessories. Choice of Phase One IQ250, 260, 280 digital back. Digital Technician: An experienced digital technician in your studio for the day. Includes processing of raw files and transfer to hard drive or disks. Digital Capture Station: Mac Pro (cylinder) Tower, 2 Eizo Color Edge 27" Monitors, Printer, APC battery back-up, connection to our server. Lighting and Grip: A studio full of lighting and grip equipment as well as unlimited access to our well stocked equipment room. Sets and Supplies: No charge for seamless paper, gaffer’s tape, compressed air, foamcor, silver cards, plexiglas, formica, etc.